A home safety inspection is always a good idea for potential buyers, new homeowners, or the safety conscience family! Your safety is important to all of us here at Brilliant Electric so we have crafted a quality electrical inspection that will leave your family satisfied, secure, and safe. 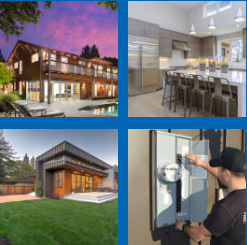 Our inspection areas include main electrical panel performance, GFCI protection, system grounding, and so much more! You can rest easy knowing that Brilliant Electric is on your side.